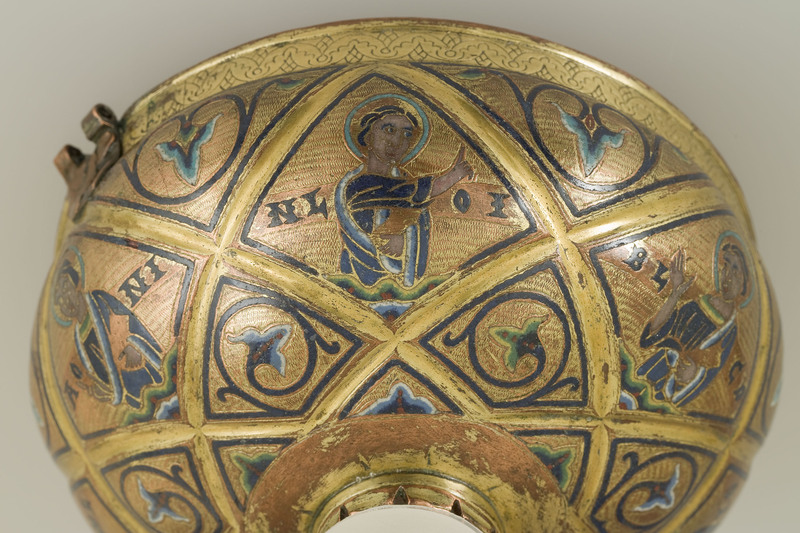 Chalice or bowl to hold the consecrated hosts, that, despite the fact that it is not completely conserved, it is one of the best pieces of Romanesque goldsmith craftsmanship of the museum. 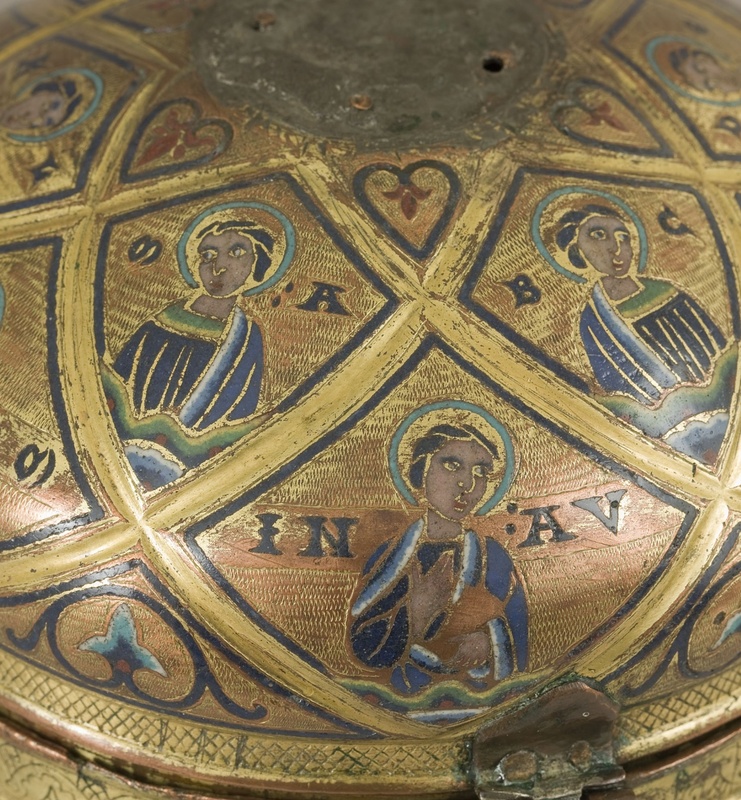 The chalice, with a lid, has lost its foot, possibly conical, and the crowning might have been cylindrical in shape. 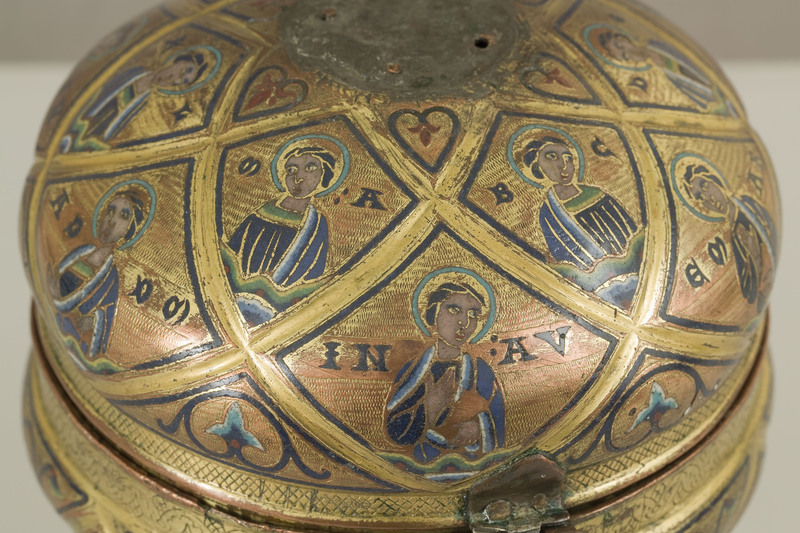 Its decoration of enamels on a gold background has a network of triangles and diamond shapes with curved sides which frame half-bodied figures and floral decorations. Due to its shape and decoration it has been related to, although more luxurious and ornamental, the Alpais Chalice, conserved in the Louvre Museum in Paris, one of the fundamental pieces of Limousine goldsmith work from 1200. 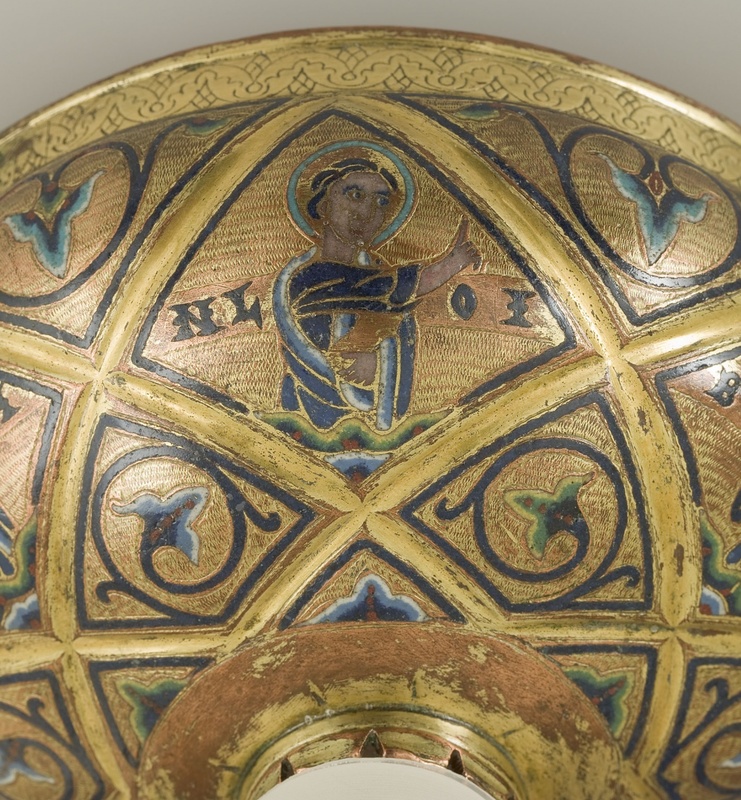 The similarities between the two works are by no means completely determinant, while in the ciborium of the maestro Alpaisthe enamel parts occupy the background and the figures remain in reserve, in the chalice of La Cerdanya the application of the enamel is the other way round (figures and enamelled ornamental motifs; background in reserve), with a less spectacular result but of more chromatic elegance. 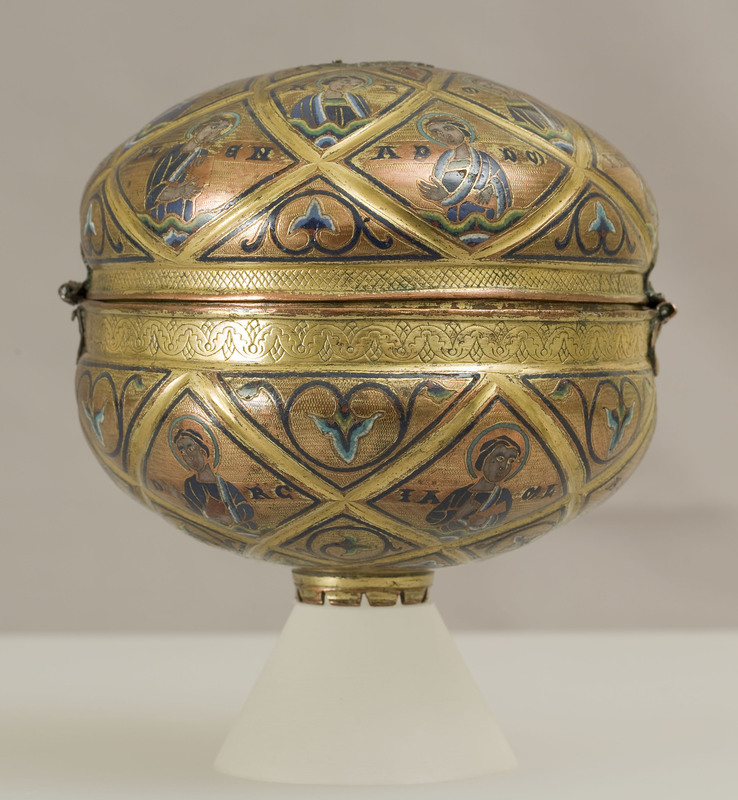 This piece was purchased in 1918 by Amadeu Sales, an antiquarian,it is known that it comes from a church of La Cerdanya. It is dated to the late 12th century and it is one of the oldest examples of the arrival of Limousine products in Catalonia. Comes from an undetermined church in La Cerdanya.